Arguably there are just three bands that matter; The Ramones, Motörhead and The Damned. All subsequent Rock Bands lineage can be traced back to these three. Strangely enough my favourite single, album and live gig are from none of the above bands. For only the second time in their history Motörhead and The Damned once again became touring partners. 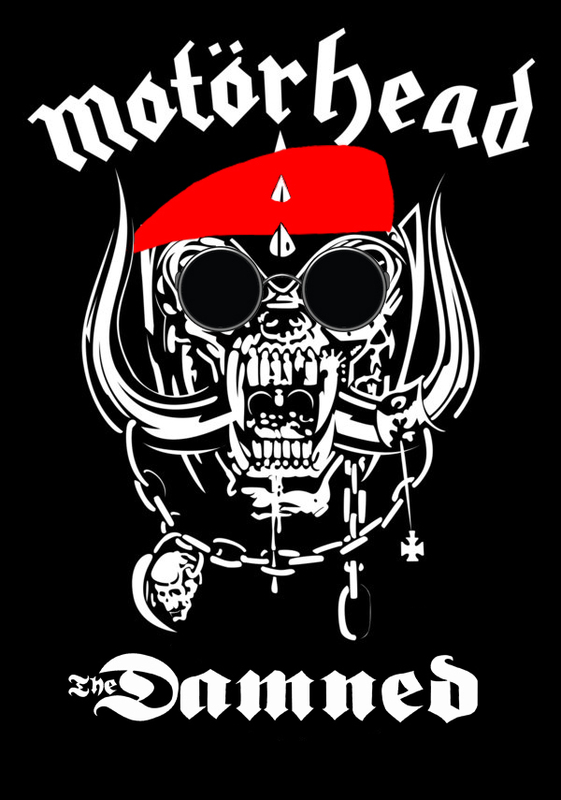 Motörhead were always the metal band punks liked and The Damned the punk band that appealed to metalheads, with Lemmy even joining a bassless Damned (Les Punks) for a one off gig at The Electric Ballroom. This lead to the aborted Motördamned project that saw The Sweets’ “Ballroom Blitz” and Motörhead’s “Over The Top” recorded. “Spend That Money” indeed. Normally the pre-Christmas Motörhead UK Tour takes in around half a dozen dates but this year, due to Lemmy’s health concerns, it’s down to just three; Manchester, Birmingham and Wembley Arena. I braved the £46 cost of the ticket but avoided forking out for the costly Car Park opting for London Transport seeing them at Wembley. I missed the beginning of opening act The BossHoss but was suitably impressed to go out and purchase their current CD “Flames Of Fame”. The Damned’s set being only 50 minutes meant it was a super condensed fan favourite best of. As per nothing post Eloise, with the band finishing up with the singular Smash It Up, no time for Part One on this particular occasion. The sound, for a change for The Damned was spot on, better than some of their own headlining shows I’ve seen. It’s been three years since I last saw Motörhead due to clashing gigs, a Hand-Fasting and Lemmy’s hematoma. Lemmy seemed very subdued, never moving from his mic stand and no machine gunning bass. The only thing that was animated was his hands and mouth. Sonically though Motörhead, as I hoped, ruled. The set-list, as we all know for a band that have been going for as long as they have is always going to be difficult, choosing what to put in and what to leave out. “No Iron Fist”, or “Bomber”, but then I have heard them a million times before. “Rock It” and “Suicide” on the other hand from “Another Perfect Day” and “Inferno” respectively were a nice addition. I’m really glad I went, three really good bands, just about money well spent. This entry was posted on Wednesday, November 12th, 2014 at 12:01 am	and is filed under Rock, PowerPop, Punk, Metal, Garage. You can follow any responses to this entry through the RSS 2.0 feed. Both comments and pings are currently closed.